*Disclosure: This post was sponsored by Target® C9 through their partnership with POPSUGAR Select. While I was compensated to write a post about Target® C9, all opinions are my own. There are so many choices when it comes to active wear these days. I don’t consider myself to be old, but I do remember when there really wasn’t such a thing as active wear for women. Back in the day I used to wear cotton t-shirts and soccer shorts to workout in. Now I actually get to wear clothes that are not only cute, but they have high performance material to they wick away sweat. This motivates me to work out even harder! It’s basically a printed sports bra with a flowy tank top attached to it. Let me just tell you, I love this top. I love the way the tank top is loose and allows some air to get in there (if you know what I’m saying). It’s got a nice moisture wicking fabric and the color I chose is reflective at night – bonus! The other pieces I received were the women’s run short with knit waistband. I decided to get two pairs of these shorts because I am in need of new shorts in my workout wardrobe. I decided to go with a standard pair of black shorts to match my purple top as well as a fun, printed blue short for when I’m feeling spunky. They have built-in underwear in them too which for me is always a plus. I did an at-home workout in the purple top and black shorts outfit (I used my new 5 lb dumbbells and did the workout in the video) and it passed all my criteria for workout gear. 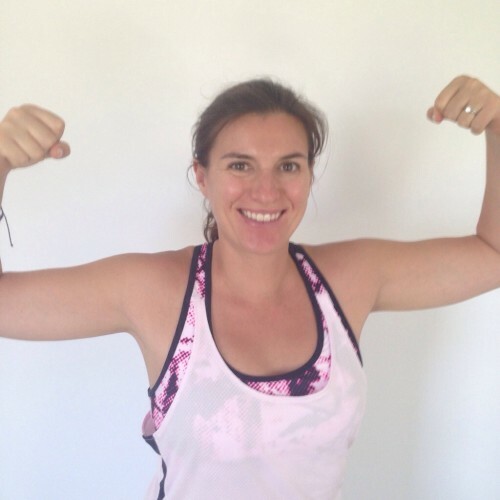 Overall I found my choices from Target® C9 to be comfortable, good looking, and breathable which are pretty much my time criteria when buying any new workout apparel. 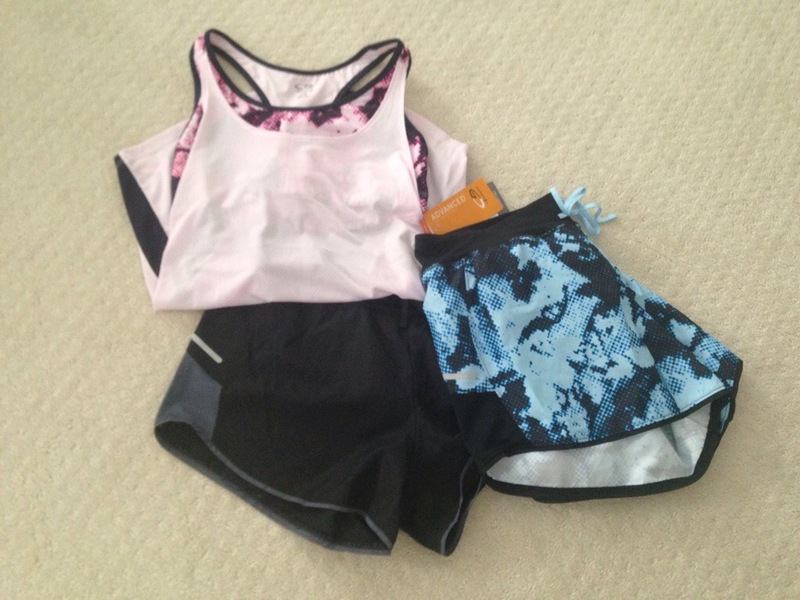 I am so pumped on my new workout gear from Target® C9 and can’t wait to have many fun-filled summer workout sessions in them. What about you? Have you ever tried Target® C9?? Post I the comments and let me know!